In an era where clubs boast about the amount of money that they are investing in their academies, the last thing you would expect the FA's director of football development to talk about is the minimal wages that are being paid to the coaches working in those same academies. Yet that is what Sir Trevor Brooking did last week. "The salaries are definitely too low and we need to recognise coaching in the young age groups as a proper career for a full-time role." "We believe you need full-time coaches. At the moment there is an issue in that those full-time places are being offered at pretty low salaries, around 15-16 grand, and they need to be recognised for the quality and getting £40,000 to £50,000." Whilst it is astounding that clubs should try to offer such wages, it isn't surprising. After all, there are other areas - specifically the performance analysis departments that all clubs are rushing to set up - where interns at some clubs are expected to work without being paid anything. The clubs know that there are hundreds of people out there eager to gain some experience as they look to get a start in coaching and they try to exploit this as much as possible. Whilst this might be interpreted as another instance of clubs' increasing desire to operate as businesses, what it does is confirm that there are still a lot of instances where antiquated beliefs remain prevalent. Because the acceptance that some coaches can be paid minimal amounts is symptomatic of the way youth coaching is viewed. This isn't simply an issue around clubs looking to spend as little as possible but more about the belief that any coach will do. Because if clubs felt otherwise they would surely make sure that they provided the best possible coaches for their youth teams which, in turn, would mean paying the kind of money that such coaches would expect. It shouldn't be that way. In a study looking at the value of teachers, Stanford economist Eric Hanushek found that students of a very bad teacher will learn, on average, half a year's worth of material in one school year whilst those in the class of a very good teacher will learn a year and a half's worth of material. Meaning that schools should always strive for the best teachers. Is football any different? Of course not. 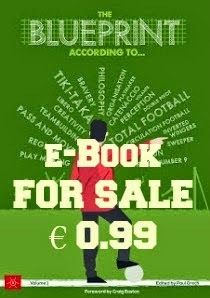 So why do (some) clubs act in a manner where the main criterion isn't coaches' ability to teach but the wages that they are willing to accept? There's a lesson there for parents too. Before you let your kid join a club (any club, not just a professional one) find out what kind of coaches they employ at all levels. Because it is the quality of those coaches that will determine how much your kid will progress. 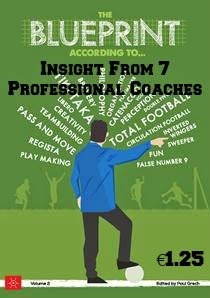 If you enjoyed this article, sign up to get your free copy of Blueprint for Football Extra. I agree in part with what is said..... about parental responsibilities to evaluate coaching prior to the player signing on for a club. As well i think that many clubs particularly those that are at the height of footballing profession exploit young post-graduates for internships with no possibility of a full time job particularly in the Sport Science Departments (as i have had experience of this). Also with regards to coaching.... too many people regard themselves as coaches particularly in the youth however they have no intention of developing players or themselves (via CPD) instead they are as more of an organiser of football that provides no learning (well some learning but not by the intentions of the coach). The Last point i would like to make is that in the english FA i don't think the english structure provides an opportunity for paid coaching especially in the young and progressing coaches (Apart from in the academies and in clubs). Youth clubs don't have the sustainability to provide paid positions particularly in the brightest and best developmental coaches. We are a long way off progressing to this stage and i believe £40,000 to £50,000 is far too much for a youth coach. Great post and as always a great read.